When it comes to getting exercise, people swear by bicycles. But in the warm summer months, something in the water would be nice, right? 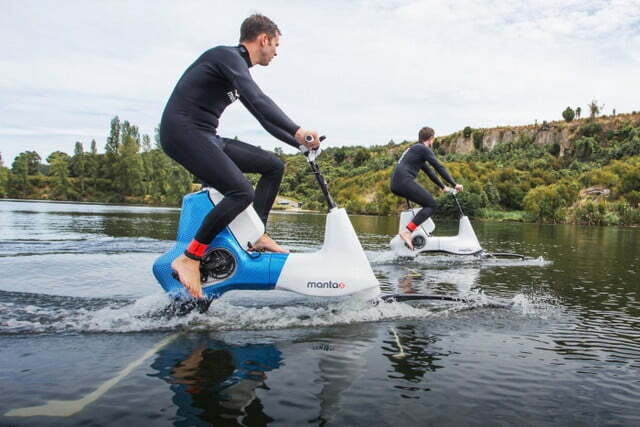 A New Zealand startup called Manta5 has put the two together to create the Hydrofoiler XE-1, a pedal-assist electric hydrofoil bike. Just like any bicycle (even bikes with secret powers), the Hydrofoiler uses pedals to propel it forward. Instead of spinning wheels, this bizarre device spins a rear-mounted propeller. What makes everything work are the three sets of hydrofoils of varying sizes that help disperse the weight of the rider. As they pedal forward, the hydrofoils act like wings, reducing drag and lifting the bike up and out of the water. 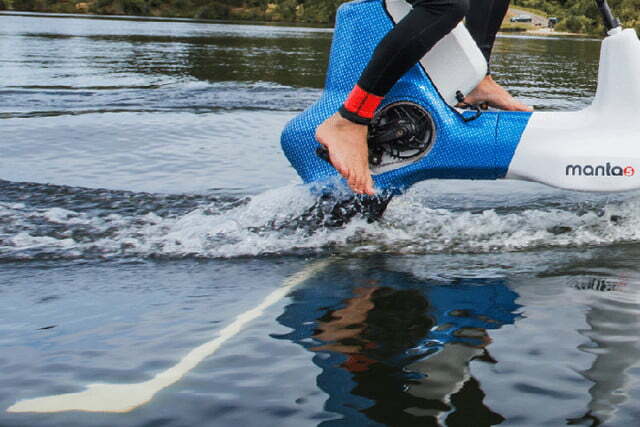 Floating on the water’s surface might sound like a lot of work, but Manta5 has added a 400-watt motor that boosts the rider’s pedals. At any point, riders can adjust the level of user input from minimal assist to full power. Powering the motor is a waterproof, rechargeable lithium-ion battery. According to Manta5, a full charge should give a 190-pound rider about one hour of pedal assistance. Keep in mind, this includes enough energy to launch the bike while fully submerged. For a 240-pound person, it should take only about 16 strokes to gain the speed needed to cruise on the surface. For an easier start, riders can stand on the rear hydrofoil, push the bottom half of the bike underwater, then climb on and start pedaling. 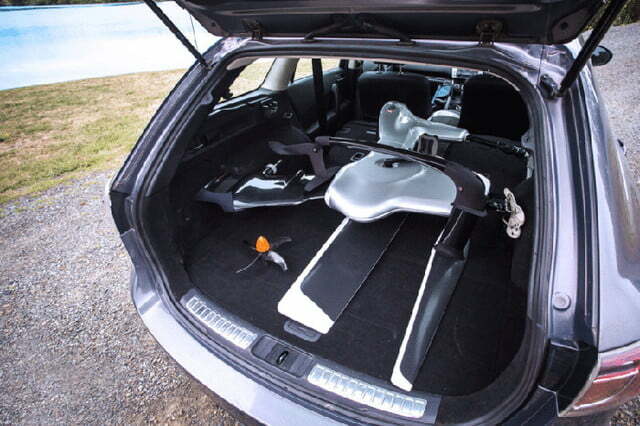 While this bike can’t just strap to a rack on the car, traveling to and from the water is still easy. Two Allen-key bolts in the bayonet mount and front tiller make it easy to disassemble and stick in a car. If anything happens to the Hydrofoiler during operation, the crankset, gearbox, and propeller have all been designed with accessibility in mind. The propeller is made from a strong, carbon-fiber-reinforced nylon, while the frame is made of a 6061 aluminum alloy, standard for the best land bikes. The hydrofoils themselves are made from carbon fiber. At this time, the Manta5 Hydrofoiler XE-1 is available for pre-order exclusively in New Zealand. This limited run launches February 2018. Those living outside of New Zealand are encouraged to still register. This will retain an early spot in line once distribution begins in the country. It is estimated to cost between $6,000 and $8,000 when it reaches American shores.